The indie classical scene emerged from dissatisfaction with the prevalent structures and limitations of classical music. Disillusioned with the pretensions and baggage of the high art traditions, musicians like Gyan Riley, Nico Muhly, and a sizable portion of the New Amsterdam Records roster favor non-traditional venues and embrace influences of rock, jazz, punk, and electronic music. While the term itself is wrought with complications, and most practitioners tend to neglect the title itself, the indie classical movement undeniably promotes fusion of classical and contemporary aesthetics. Much like their musical compatriots across the ocean, the Brussels-based Echo Collective tend to use their classical training for intriguing, decidedly non-classical results. Founded by Neil Leiter and Margaret Hermant, Echo Collective primarily collaborate with other musicians and composers, adding a "neo-classical" edge to modern sounds. Past collaborations include film composer Johann Johannsson and the synthpop group Erasure (this collaboration, World Beyond, recently landed the #1 spot on the Billboard Classical Album chart). For their latest recording, Echo Collective focus on Radiohead, perhaps the most artful and complex mainstream rock band of our age. Echo Collective Plays Amnesiac pays homage to the classic 2001 album recorded during the same sessions as the landmark Kid A. Covering seminal tracks from a legendary band isn't new, but reinterpreting an entire album is a bold move for any act. Echo Collective Plays Amnesiac originated from an extended concert residency at the Ancienne Belgique concert hall, and it begs the primary question of "why?" What can we learn from reinterpreting an entire album, translating an entire record's aesthetic from a forward-thinking rock band to a classical chamber ensemble? Gratefully, it's an experiment in textures and translations that exceeds expectations. Echo Collective expose the songs from Amnesiac for the complex musical gems they are, as well as reflect their versatility and virtuosity as a tight, progressive instrumental ensemble. By rearranging everything for entirely different instrumentation, Echo Collective divorce each song from its original guitar/bass/drums/electronics context and allow each melody and harmony to stand on their own as pristine, beautiful, and occasionally shocking moments. The smooth synth bass line of "Packt Like Sardines in a Crushed Tin Box" suddenly sounds sharp and punctuated on the contrabassoon. Thom Yorke's fragile chorus melody on "Knives Out" is reimagined as a ghostly wail through the violin and backing clarinet. "Morning Bell/Amnesiac" retains the ominous haunt of the original while becoming notably more cinematic; this track would fit perfectly over the opening credits of an A24 film. Throughout the record, Echo Collective display a quiet virtuosity through their immaculate touch and tone. It's not inconceivable to consider Radiohead the Beatles of our age: critical darlings, admired for their progressive musical journey, legions of disciples and copycats copping their sound and songs to varying quality. 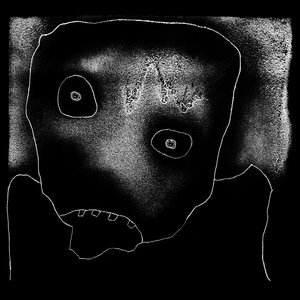 A lesser group would have mimicked everything from the original record, yet what makes Echo Collective Plays Amnesiac shine is the differences in phrasing and articulation. Echo Collective take the raw material of tracks like "Dollars & Cents" and "Life in a Glass House" and filter it through their modern-classical perspective, embracing the sensibility of Stravinsky and Schoenberg as much as Greenwood and co. Classical music has been on a general commercial decline over the past few decades, and critics commonly question its value in the time of EDM and digital streaming. Classical purists insist upon the necessity of the Western art tradition as a benchmark for humanity, yet they also decry any intermingling between art music and any other genres or styles, be it jazz, rock, or anything else. While their former point is inarguable–taste withstanding, there is an everlasting beauty to Bach, Beethoven, Brahms, and their brethren–restricting classical musicians to archives of music history handcuffs them to a tradition and impedes the growth of the medium. Echo Collective Plays Amnesiac works so well because the ensemble both honors and defies their classical training by taking their instrumentation, textures, and traditions and exploring its meaning in a contemporary context not bound to any classical tradition. By recontextualizing Radiohead–a group so complex and nuanced they should be considered art music in their own right–Echo Collective provoke questions about how raw musical material can translate into a new result through a varying of means. The album isn't about crossing genre-lines, more so about realizing music from one idiomatic sound through another. It's a stunning record of vibrant highs and sedated lows, interpreted with irresistible grace and wit by a stellar group of musicians.